Salvation Mountain is about 150 miles from San Diego so we advise participants to carpool (see link to carpool location, below). This is a dedicated Park & Ride lot, easy to find and convenient to use. From the carpool lot it’s about 140 miles / 2:20 h to Salvation Mountain. 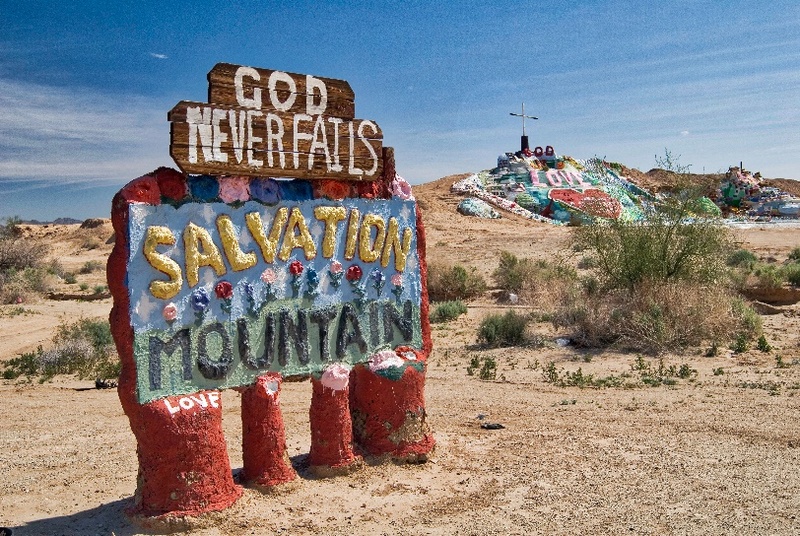 After making photos at Salvation Mountain, we’ll continue to East Jesus, which is just 1.5 miles east of Salvation Mountain. As East Jesus is an artist community they rely on donations. Please be prepared to toss a couple of bucks in their donation bucket. Being an all-day photo trip, we suggest bringing a small cooler with drinks and lunch – or we can all stop at the Buckshot Deli & Diner in Niland after East Jesus. The diner is 11 minutes west of East Jesus on Highway 111 has has pretty good reviews for their food. After the diner, if you’re up for more post-apocalyptic photography, we’ll travel north on Highway 111 to the Bombay Beach Ruins, approximately 18 miles north of Niland. 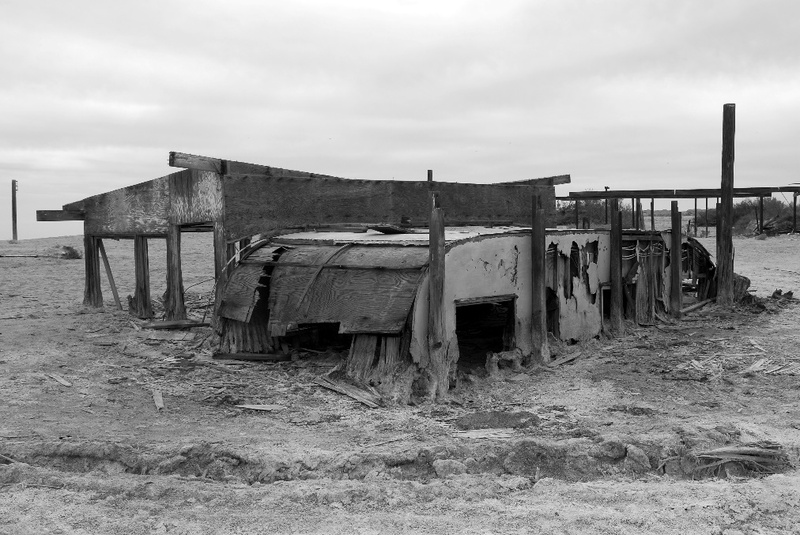 They have some pretty interesting dilapidated structures to photograph.